← It’s Job Fair Day! My 150 seniors take time for graduation pictures. Enjoy your holidays and your job searches, everyone! I’m finally on holiday for Chinese New Year (Spring Festival) with the end of the Fall semester having arrived. 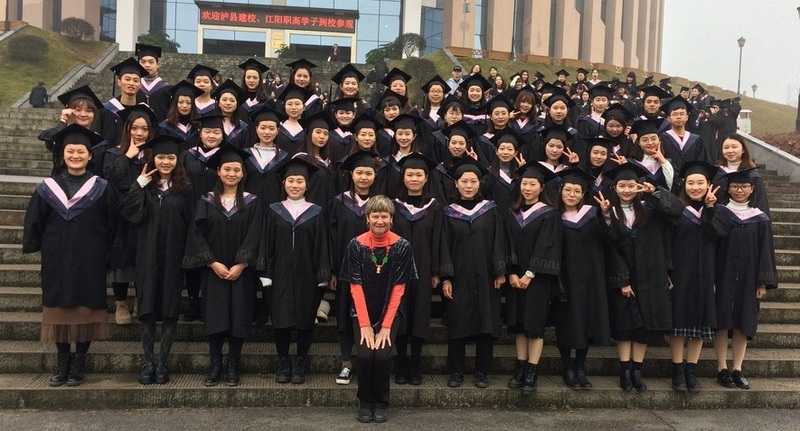 The weekend of my birthday, January 12, began the winter break for our 9,000 students on the campus of Luzhou Vocational and Technical College. The teachers and leaders continued onward with end-of-term meetings, finishing up grades, preparing assessment reports of the school year and completing evaluation forms. On January 23, Wednesday, they also will be relieved of duties and receive some much-needed rest. I was fortunate enough to finish my coursework a tad earlier, January 6th, which has given me enough time to begin rejuvenating my spirit from an extremely busy school semester. Chinese New Year (known as Spring Festival) is February 5 this year, when the Year of the Pig will begin. The campus will soon become extremely quiet with students, faculty and even school workers returning home to enjoy time with family and friends. We are all to start up the new semester on February 25. As for me, I have just arrived in America to spend time with my mom in Marshall, Illinois. Getting over jetlag is no fun but I’m hoping I’ll be back to normal after a few more days. During the next few weeks, let me see if I can remedy this silence with several posts to catch you up on what’s been going on in China. At present, my mom and I are off to Chicago for our annual mom-and-daughter winter trip. 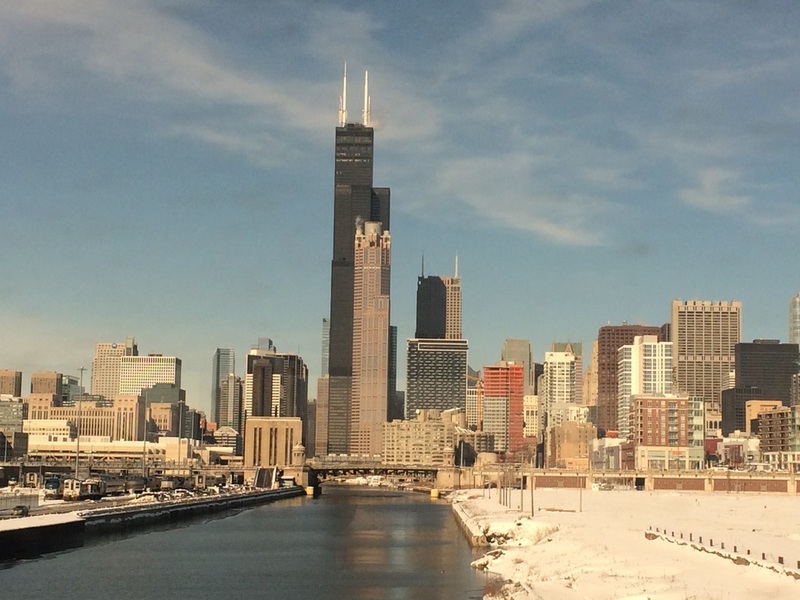 We’ll be staying in the frigidly cold Windy City for 5 days where we’ll be enjoying museums, shows, good food and fun. Take care, all, and Ping An (Peace) for your holiday weekend. Oh, do have fun in The Windy City, but stay warm…..my goodness the cold fronts moving across the country have been massive. Look forward to hearing more as you have time. So good to hear from you! So glad you and your Mom are adventuring together! Our daughter and her husband have been visiting off and on since before Thanksgiving! It’s been busy for me—cooking, mostly, but we have loved having them here. They will go to his parents tomorrow, then back here in a few weeks when our son and his wife come for a couple of days. Anyway, family time is a good time! We have a skunk plaguing us. Ugh. No remedy yet. My Mom celebrated her 90th birthday in December. Enjoy your break with your Mom! I’m happy to see you posting !! Enjoy your Mom time. Looking forward to your reports ! !